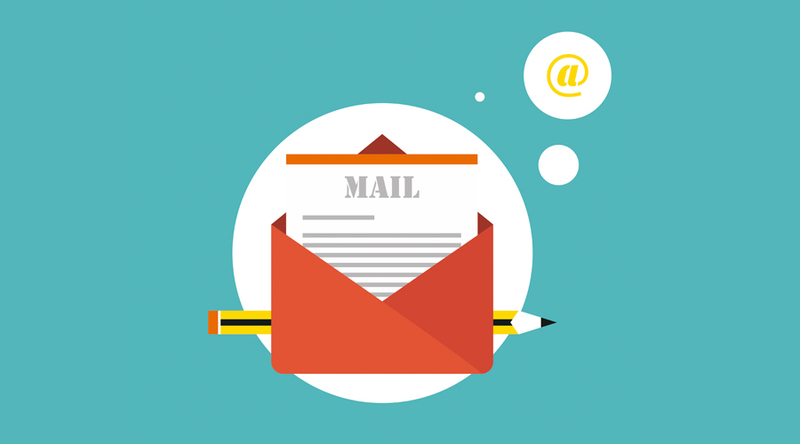 Newsletters are a great way of maintaining a direct and fluid communication between a company and its audience, but there are a number of factors that we have to take into account when putting them together before they even reach the reader. Once we have got over the difficult first hurdle, which is being interesting enough for the for a person to subscribe to our list, it is then time to offer them a more prolonged series of content that is high in quality and one that can hold their interest. A newsletter is nothing more than an email publication that a company sends to its subscribers on a regular basis. The themes can vary; they can include anything from new products to the latest news about the company or special offers that are available. Remember that this kind of communication is a lot more permissive than others forms because the user has given their express permission to receive commercial email messages from the company. Before we go any further, we have to make one thing clear. With the amount of emails (including spam) that a person receives in their inbox on a daily basis, these messages have to stand out, in order to be seen and then read in order to achieve their goal. Most people just scan the subject lines in a few seconds to get an idea of what the content may be, so we must be relevant and try to grab their attention for as long as possible. Therefore, we have put together a list of the top 10 tips to help you create effective newsletters. A good content is one that combines the interests of the company with those of the reader. It should strike a balance between the two, but its important not to lose sight of the fact that there is a person reading the message so it has to be relevant to them. Segmenting your lists and using the readers’ names to personalize the mailings can work wonders in this department. The content is important but so too is the presentation. A good design is integral to the success of a newsletter and it is also a great way of being unique and standing out from the rest. Use corporate designs that can be seen clearly and that adapt to different devices so that the reader can identify your brand at a glance. The first thing you should do when making a newsletter is to ask yourself “What do I want to achieve?” Once you have done this it will be much easier to focus on your work and writing your content. It could be about informing your clients of new products that are available, keeping them up to date with the latest features of your brand or offering occasional discounts. These objectives are what will define exactly what goes into your newsletter, from the tone you use in your communications to the style and design of your images. So take some time when deciding on your objectives and strategy and don’t set anything in motion until you are sure about what you want to get out of it. Subtitles make easy reading and make the content more digestible for readers. Nowadays with the amount of emails we receive daily, we don’t have the time to stop and read them all. Working on subtitles is a good way of summarizing what we are talking about in the newsletter so that the user can have a quick scan of the content and spend more time on those that may be interesting for them. This is related to what we have just explained. People don´t have that much time to read your newsletter so try to give as much information as you can, using the least amount of space possible. A good idea could be showing a small summary in only a few lines then, include a link to the complete content on your website. You can also use other ways to show the information in a more concise manner like lists or charts. We are visual creatures and images can be a great way of catching the reader’s eye and encouraging them to take action. Choosing the right photograph is as important as writing good text, you have to combine both actions in order to create a good content. Depending on the objectives, you will sometimes have to give more importance to one over the other, but ideally there is a balance to be found where the images serve to illustrate and reinforce the impact of the content on the reader and make the message more attractive overall. The header is one of the most important elements in any newsletter, as it is the first thing a person sees when they open your mailing. Pay extra attention to this section and, above all, make it unique and recognizable. The reader must be aware that they are reading your newsletter from the get-go. If they have already read your newsletters before and found them interesting, then there is a good that they will continue reading and not delete them. It is important to pay as much attention to the footer as it is to the header. It’s the element that rounds off the communication and you should take advantage of this section to give the reader your contact information so that they can communicate with you or give you feedback if they want. It’s also a good moment to encourage the reader to share the information with their friends by email or through social networks. The best way to continue moving in the right direction and growing is by understanding your subscribers and you can do this by analysing the results and statistics of your mailings. “What type of subject has had the most success?” or “What content has generated the most clicks?” These are just a few of the questions that you can ask in order to refine your content so that it can be more effective. If you are used to sending a weekly emailing on Monday, then always do it that way. There is nothing like the lack of regularity to mislead the user. Sometimes you can make an exception, as there may be an occasional need that may arise but try not to make it the general rule. Set a calendar with your publications and stick to the plan. It is a good way to get loyalty. Would you like to put all of this advice into practice? Sign up to MDirector today and create your first email campaign in less than 3 minutes!